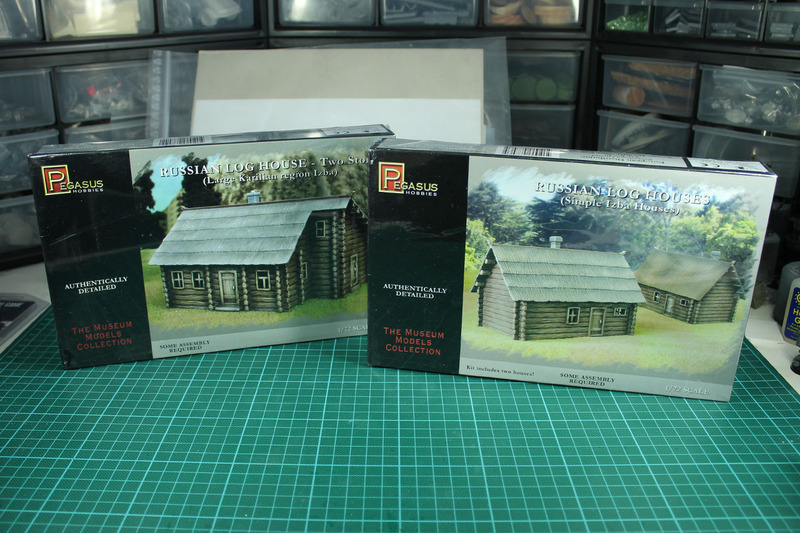 Pegasus Hobbies is an American model kit company that offers quite a broad selection of kits in different scales. 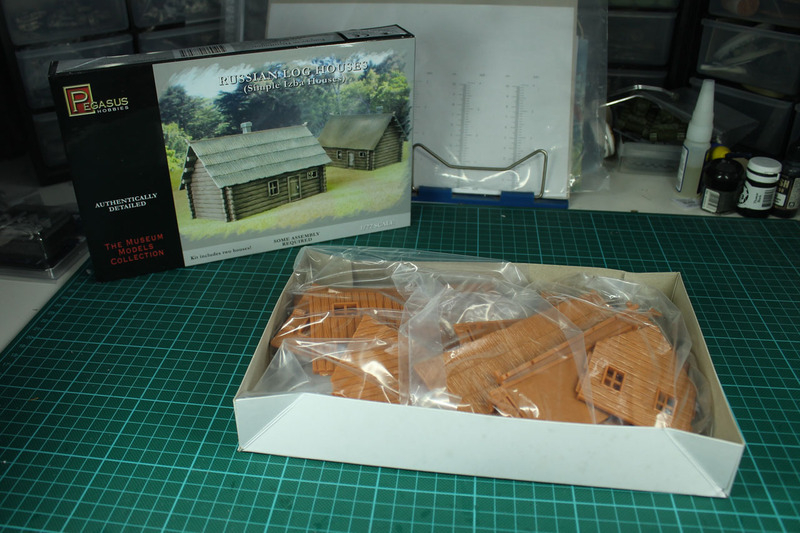 Some of them are marketed as 1/72 scale, others as 28mm. 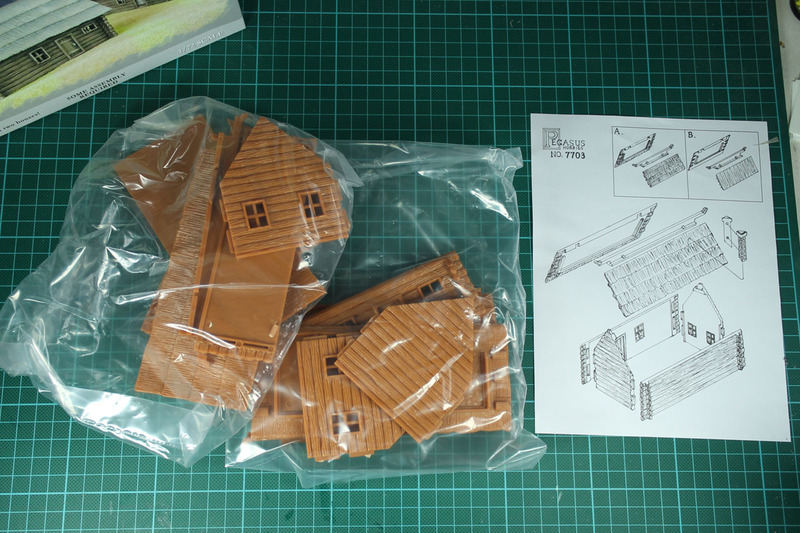 For this unboxing and build review I bought these kits a while back online. They are called the Russian Houses 7703 and 7704, and come with a single larger house or two medium sized houses. As the availability is fluctuating, at least in Europa / Germany of the products of the brand, I took the opportunity and struck when I saw them for a few euros each on Amazon. 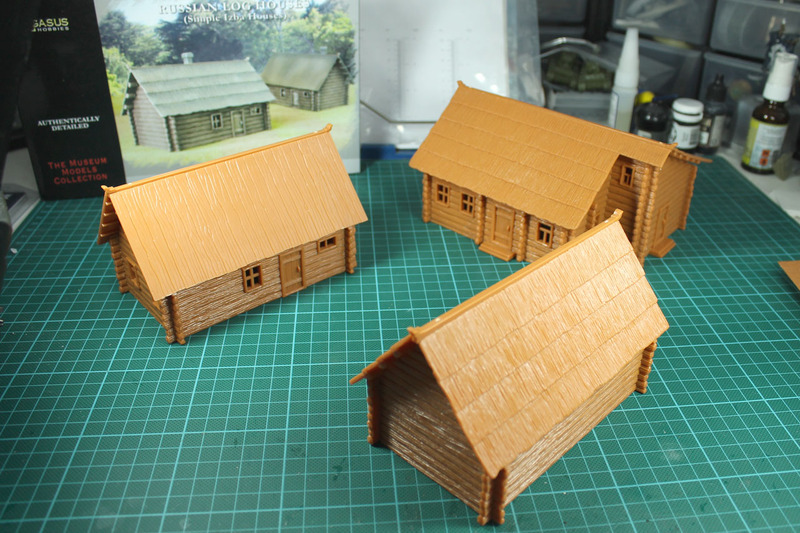 As these houses are quite generic houses, build from wood, they could be used for more than just World War 2 Eastern Front scenarios (Winter in rural areas for Wild West and such as well). They are priced around 10 USD each, but the prices online may vary strongly. 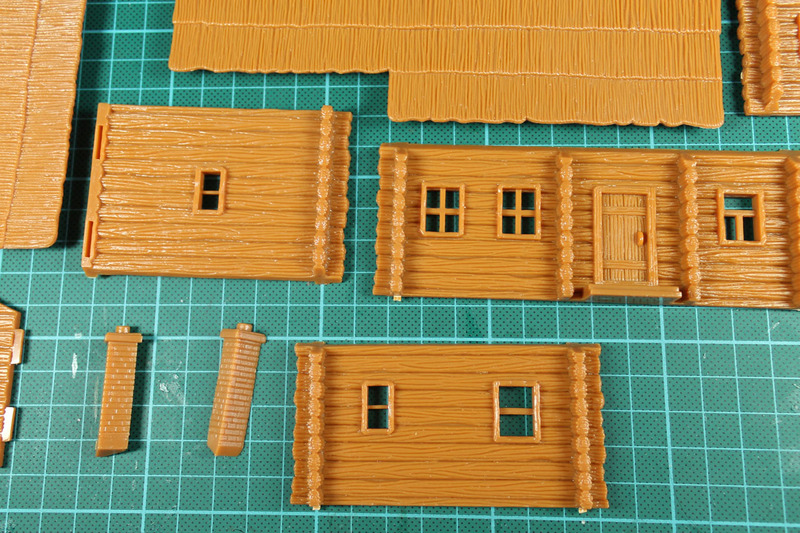 There is a third kit available, called Russian Farm Houses (7702) that I couldn't acquire so far. 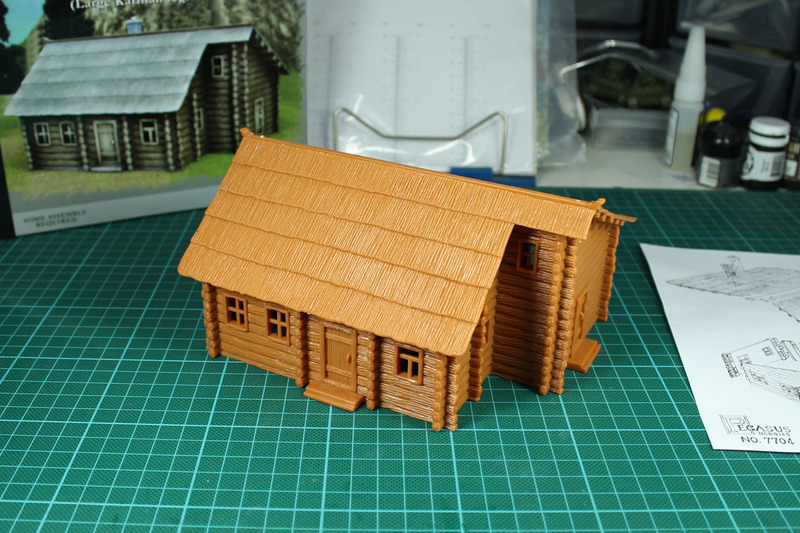 Let's begin with 7704 the larger house, Russian Log House Two Story (Large Karilian region Izba). 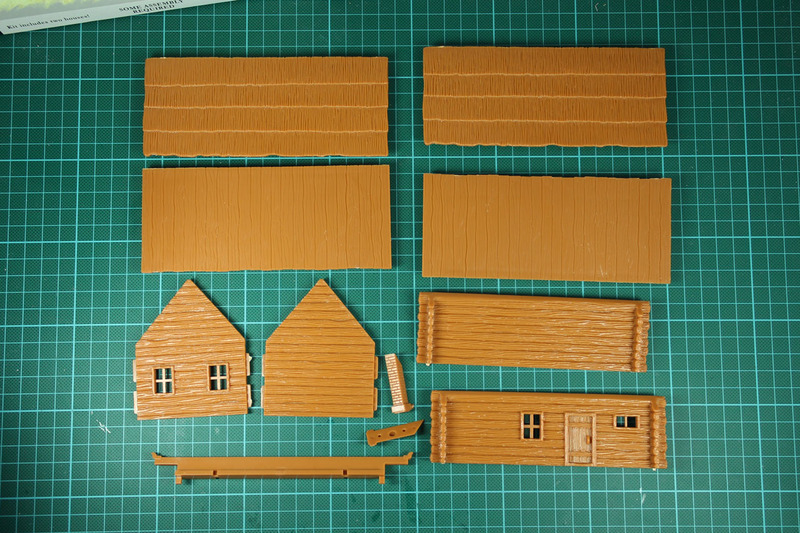 It is made from brown plastic and comes as separate parts, without a sprue. The instructions are drawn on a leaflet. The cast is good, not superb, not to blurry, but more than sufficient for a terrain kit and later dry brushing. There was minor casting lines and flash. Assembly is quite easy. 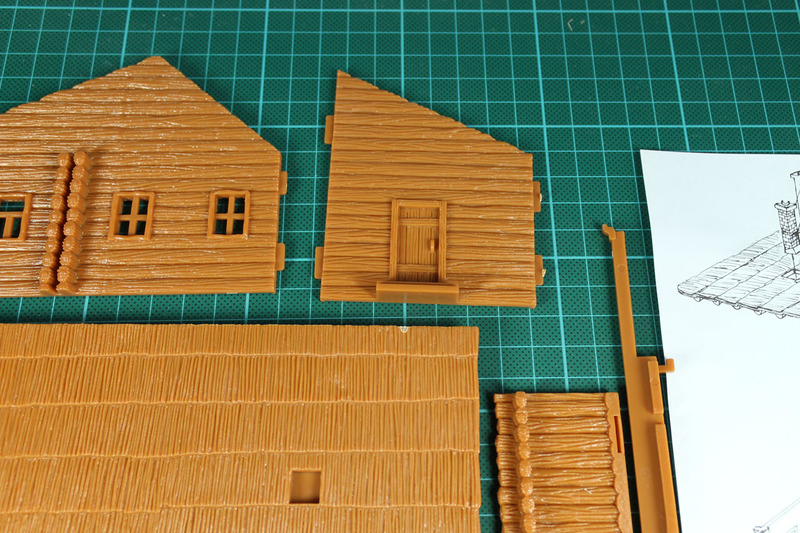 As the outline of the building isn't a simple square, but has a zig-zag, it may be a bit flimsy while assembling. The roof gives the whole kit a lot of support. 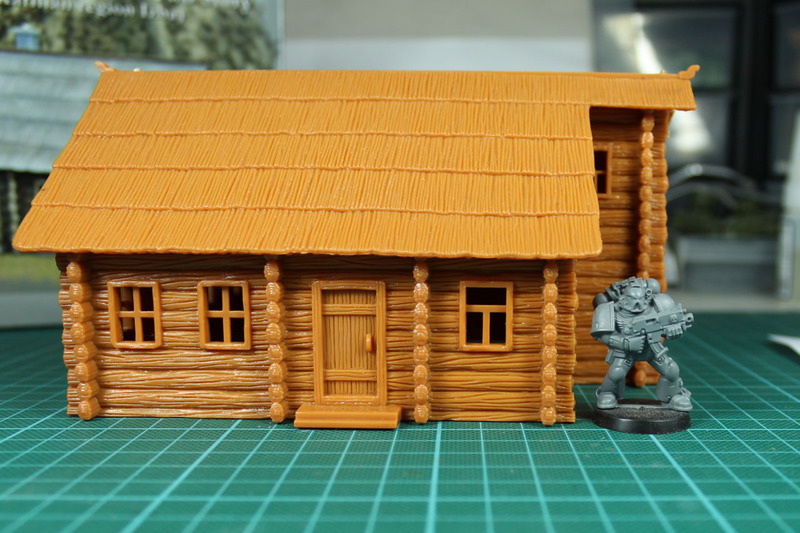 If you intend to leave it off (or not glue it down) for gaming purpose, I suggest that you put the building on a base (like MDF or foam board with angled edges). 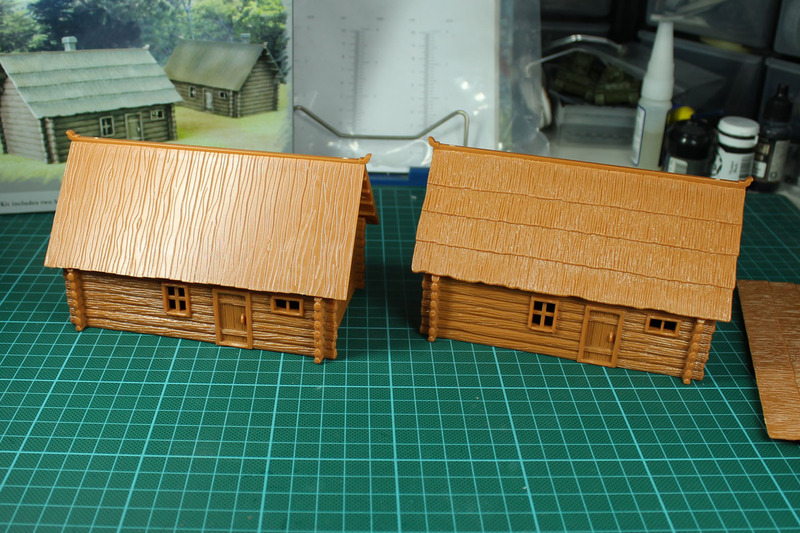 The set 7703 with the two houses, Russian Log Houses (Simple Izba Houses), are made from the same brown plastic and share the same rectangle outline but with different style of roofs. 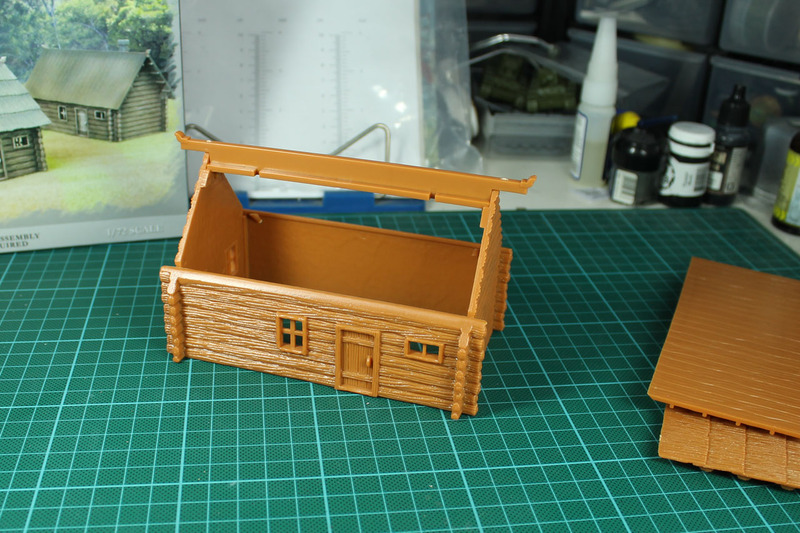 Assembly is pretty easy as well, didn't even use glue (you can use your regular plastic glue, like Revell Contacta, for these kits) for the picture. 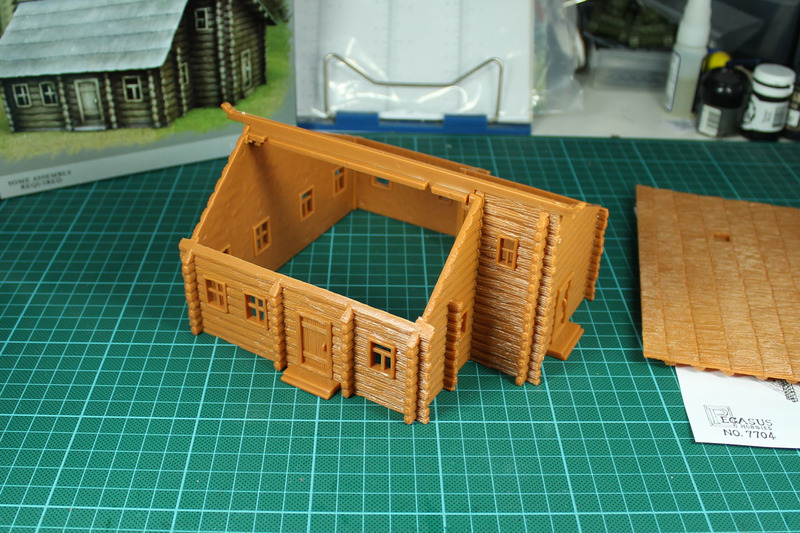 The roof adds stability to the construct; I'd suggest basing the houses and leave the roof removable for gaming purposes. 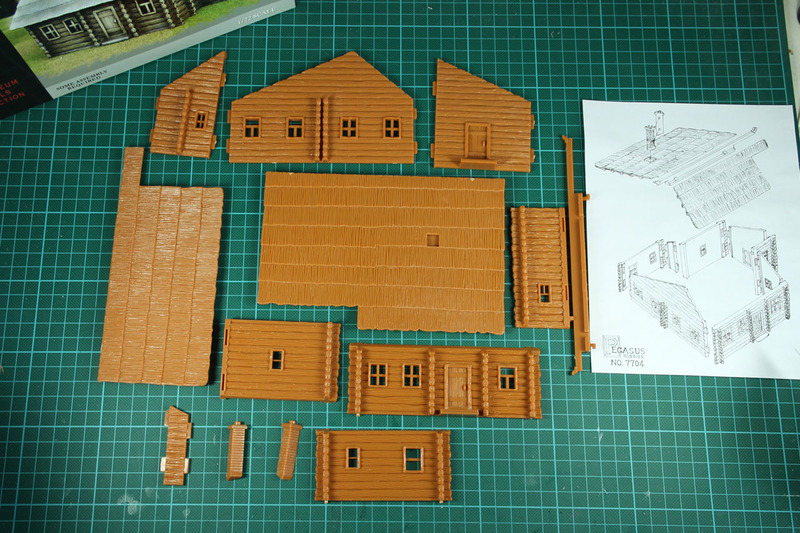 As you can see, two sets already fill up a good amount of space and could be used as a small town, maybe add a fence and some live stock to make it more lifelike. 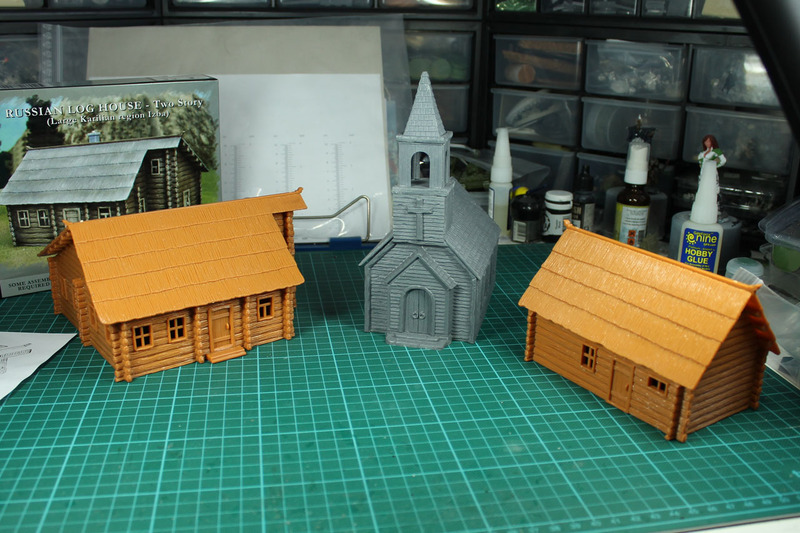 In the second picture you see a comparison with Renedra / Perry Miniatures wooden church. 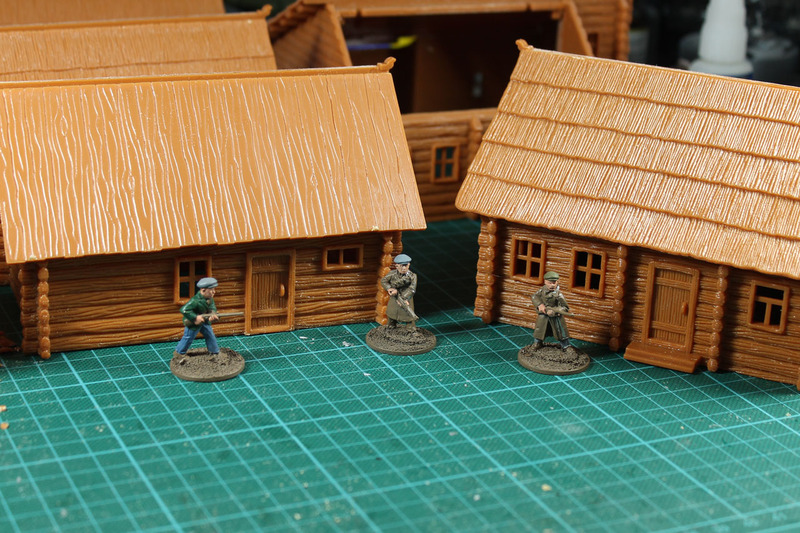 And as mentioned above, the buildings are sold as 1/72 or 20mm scale kits, but work quite well with 28mm miniatures as you can see from the pictures. I'm satisfied with these kits. 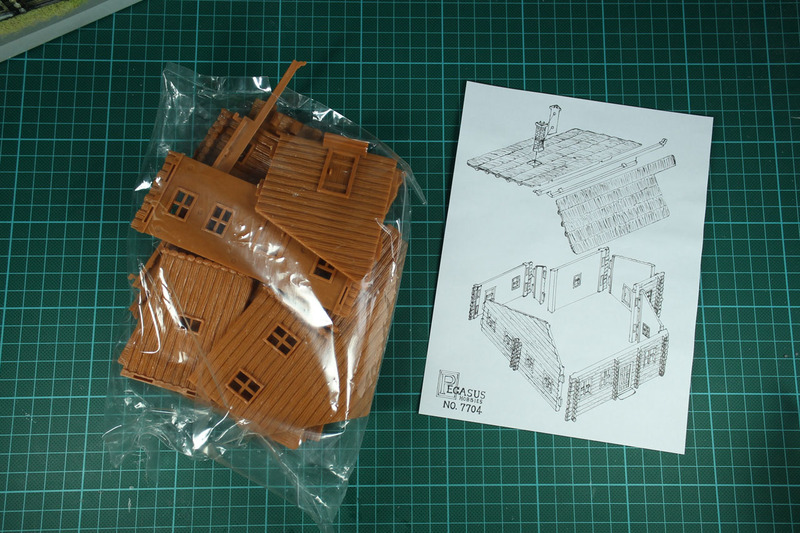 I bought each of the boxes twice and now have 6 buildings that easily make up at least a quarter of a gaming table (4x4 / 4x6) and I strongly suggest putting these on bases, as you can add more details to these houses, like a small pile of firewood, some bags and barrels, produce and such. The plastic is a bit oily, so I'd recommend giving it a good wash with soap water. 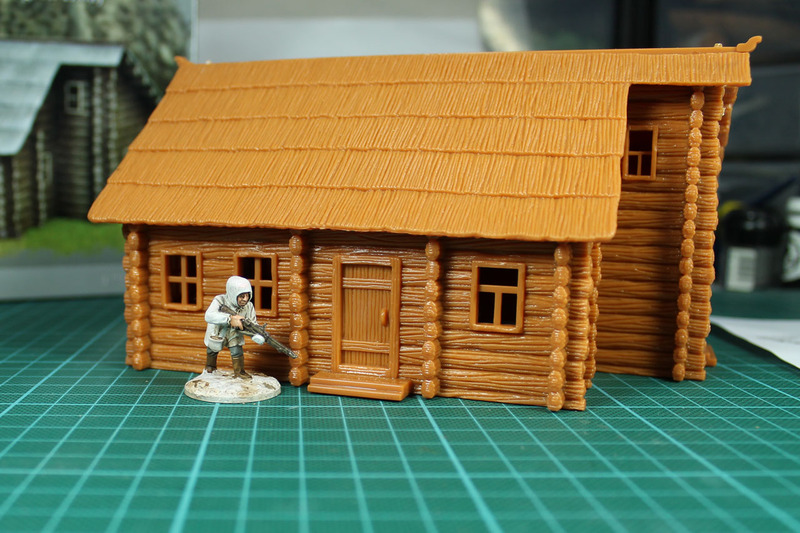 Size wise, as often, many 1/72 or 20mm kits are suitable for 28mm wargaming and they are worth checking them out. If you come across these kits for 10-15 USD buy them! I was lucky enough to pay around 8 Euro per Box which is a great bargain. 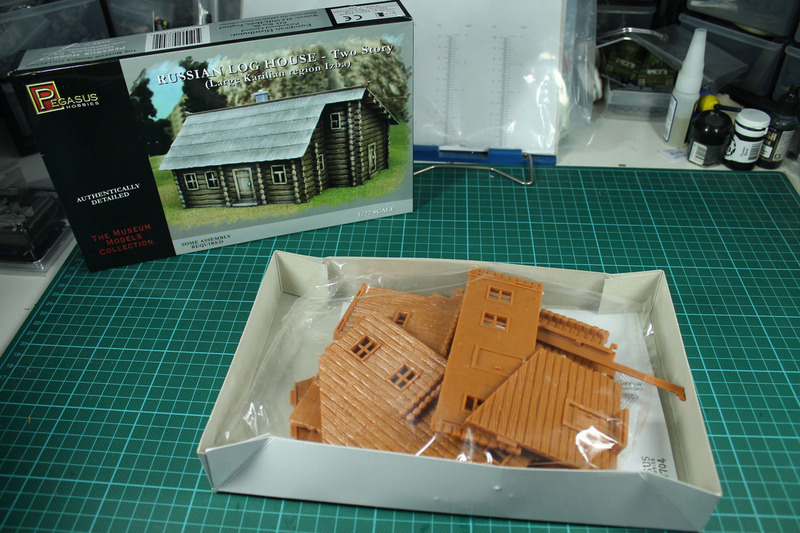 Beyond that, Pegasus Hobbies has a lot of interesting kits in their range, most known are the Gothic City Ruins, but they although offer items like palm trees or cactuses.